Hello FM Scout and welcome to this year's wishlist article. As you know, the next iteration of the Football Manager game series is traditionally released around late October / early November. The summer is upon us, so it's time for us FM fans to start anticipating this year’s release which promises to be bigger and better than FM17. As always, we would love to know what YOU think should be included, so we asked our followers on social media to help us kickstart this FM18 Features Wishlist! FM17 dropped with a high level of promise and intrigue surrounding just how influential the new features would be, but as always the community has been vocal in regards to the aspects of the game that need further polish. So far, we have received hundreds of comments on social media and here on the site. We hope that many more of you will voice your opinions about what you want in the game. 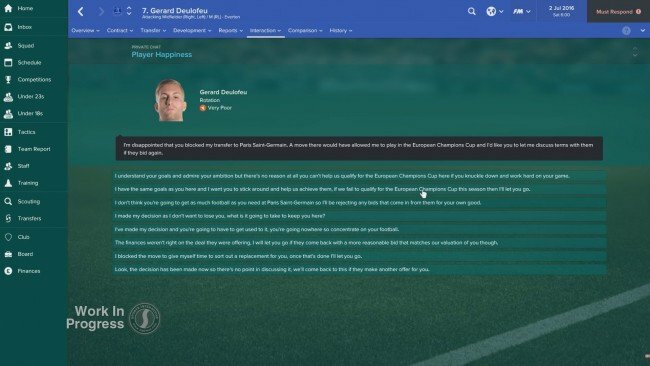 Get your opinion across by leaving a comment here or on the appropriate thread in the forums; FM 2018 - Changes you want to see. We have picked out the most creative and interesting comments you posted. Thanks to all commenters whose thoughts are being used in this article. Please keep in mind some comments have been slightly edited for either grammatical purposes or to keep the sense of a certain subject. This can be interviews, staff meetings that occur every few weeks, talking to a player after a match or your assistant handling the press. Also to interact better with the AI coaches in the game. Give them a personality in the game and let them express it during games, interviews, and to the players and staff of clubs. We need better interaction. Having more personality in our back room staff will open up a whole new element to the experience, talking about players, matches and training with someone who can openly form their own opinions will go a long way in improving the realism of the staff feature. Better comments to answer media questions better things to say to the players on match day it's been the same comment since 2013-14 interim manager positions to become available. More needs to be done in the media when it comes to small clubs winning major trophies or getting an under dog promoted, should be more of a big thing, at the moment there's no difference if I win the CL with Man Utd or if I win it with Burnley. The media need to be more involved in-game with issue like above, showing shock and writing reports on controversial and stunning incidents. A variety of media reports and articles related to in-game events could see managers become more involved in the media. Dealing with the press needs to be improved, the social media side needs upgrading as well as I had a player score 7 goals in a match and still had 2 people on the social media thing complaining about him. Wipe all press conference talk, and create a new one from scratch. The current system is not immersive and you have memorized every possible question and answer within two in-game months. More variety in team talks, but there needs to be more community aspects of the game. Managers and players get involved in that. Tactical Improvements can range from fixing certain roles to adding more instructions for your players to follow. Anything remotely linked to that is below. Training, more impact (realistic) on tactics created. We often see managers say that ‘things are going well on the training pitch’. This should be more clearly translated over time in-game so it feels we are having more of an impact during training, and that we can see it is clearly affecting players. More player instruction options, like they had on the very old cm 01/02 version, you had the option to have a player pass to his right/left/centre etc currently the player instructions are based too much on the team instructions. Anything that can be improved about certain features inside the game, including bugs, a lack of certain things or anomalies. Patience from smaller clubs. I got villa to 8th and got sacked for not reaching my target of qualifying for Europa league. It seems managers are being relieved of their duties a lot more frequently this year than normal, and could be something SI look to improve in the upcoming FM. The manager could be given more patience and security during a season instead of being sacked early on, or if they fail to achieve objectives by minor margins. Selling players needs looking at. In real life players seem to go without much fuss. Try and sell a player on FM and it's nothing but grief. Anything to do with how the AI acts and thinks in your game. This can be in-game, transfers or any other form of AI Interaction. Make matches a challenge, preferably based on opponent's skill. 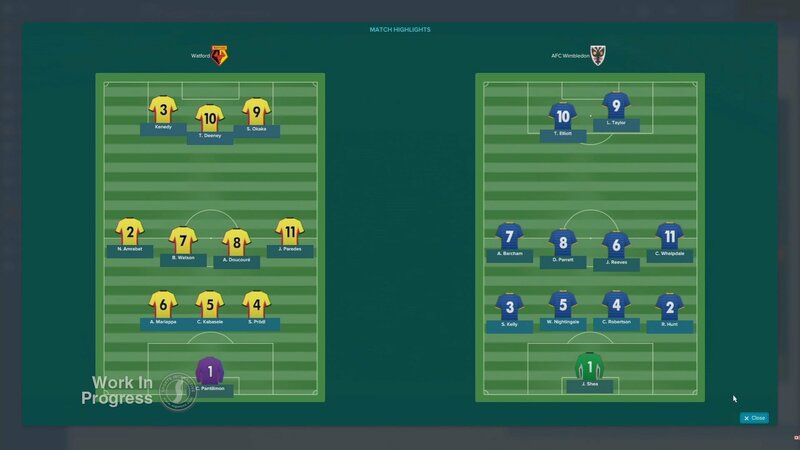 I have FM16 and I remember a previous version, where managers like Guardiola or Klopp would change their tactics in the middle of a match just to mess up with your tactics. In FM16 they don't do this or do it rarely: when losing by a large margin if you are dominating (to avoid humiliation) or when winning in order to keep a score (about the last one I am not even sure). Also when they get a red card. The AI managers are quite clever when it comes to setting up their team's, but often lack tactical flexibility in-game, which leads to many unchallenging matches against weaker/poor opposition. Upping the amount of times the AI changes their tactics adds a sense of realism into the fixture. 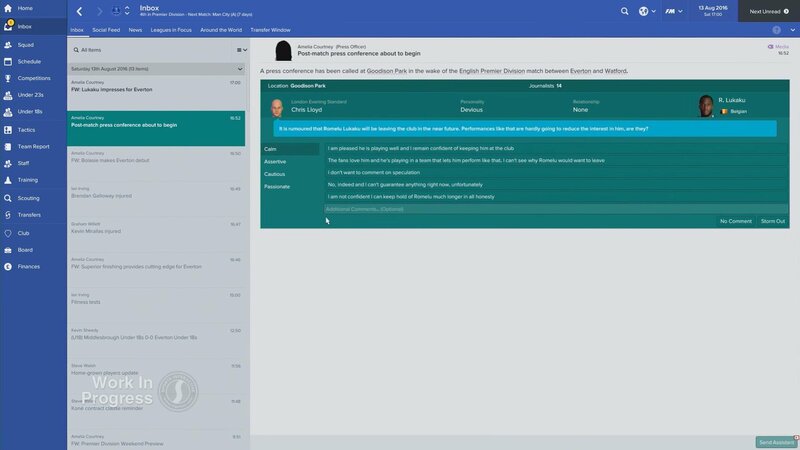 These are features which aren't in the game already, but have been requested by FM fans on social media, or that aren't mentioned above and have been requested to be improved. It ranges from small to large scale additions. Managers also need agents like in real life.. surely I would also fancy you have Jorge Mendez to do all the contract negotiation for me. Why should I hustle looking for a job and doing contract negotiation end up being given a lower wage compared to other game managers who are even not close to what you have achieved. The training needs a massive overhaul, training at the moment is very average, needs to be specific to what you want the team to work on in training and you should be able to see the Improvements throughout the season. To have more control in the commercial aspects in the game. For example, that the manager can involved in picking sponsors and others things like that. Being more involved in the financial side of the game us more control and makes that side of the game more important and routine for players. Controlling where your left over finances actually go will help massively in running the club, and can make things like improving youth, training and stadium facilities. offside mistakes, something should be changed there. think about installing video surveillance to help understand was there an offside or not, should be fun! 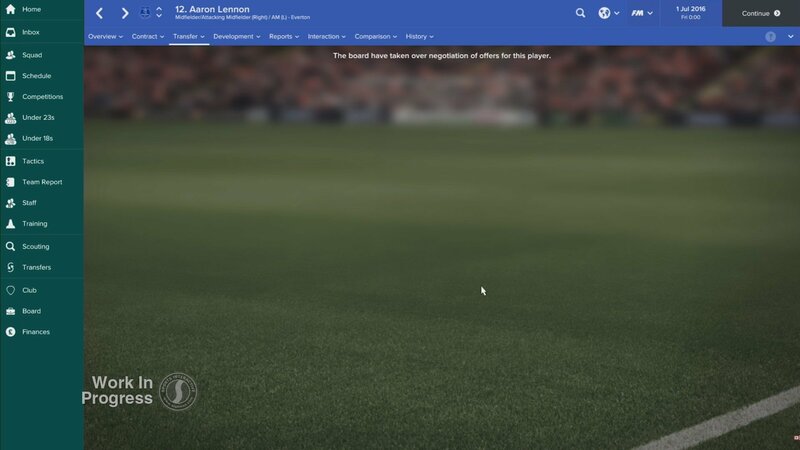 Adding this feature would help keep the game modern and up to dathe with the football rules, whilst making sure no refereeing mistakes occur in-game, which has been a problem for a few people this year. A lot more work needs to be done on international management, at the moment it's doll. Need to be able to train the players a week before international matches and cups. Would love to see more off the field controversy affecting the players. Having player issues in the game makes the experience as a football manager more realistic, dealing with the problems of keeping your players behaviour at bay and managing their lives on the pitch. Stadium Upgrades, the ability to pick what kind if stand you want built and to see it in stages of development. Like the old FA Premier League Manager 2001 game. Would be great to see FM18 do that. We’ll be updating this wishlist throughout the summer, so make sure to share your ideas in the comment section down below. 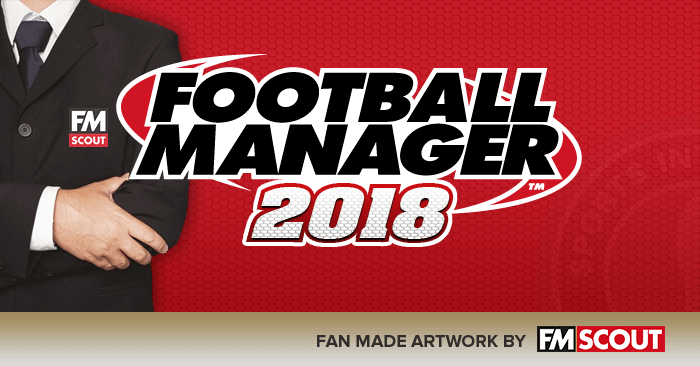 And don’t forget to like the dedicated Football Manager 2018 fan page we created on Facebook. Hi, I'm a proud Vibe Community and FM Scout member who is passionate about writing and playing. I hope to produce good content for both websites, aswell as enthralling careers and journeys to take people on. 45 comments have been posted so far. Hi.. For me international management must upgrade in fm..As International manager in the game you make the same and the same things all the time.. So here are some suggestions.. Possibility to train national team and rest them after a game, more interactions with your players(about his playing time in his club,try convince him play with your nation if he can play to other too, about his role in squad),more specific goals in quilifiers (avoid last place, reach ten points, finish higher than, collect more points, score more goals),more complexity press conference, more interest from media, international players not to retire very young,interactions with your players clubs, interaction with Fa and building strategy.. It'd be good if you could instruct your wingers to pass the ball to the players outside the 16m area as a crossing option. This would be a great opportunity for DMs staying outside the danger zone with good long shooting ability. To be able to critisise penalty AND red card decisions more. Very rarely do I get to slam a ref for his decisions. On another note, I'd like an additional tactic slot to develop tactical ideas without your team having to train it yet. I would envision it to be like a notepad where you can mess around with an idea as the game goes on and, once you feel it is ready to be put to the test, you can switch it in for one of the tactics you have in use for your team. This way you can develop a tactic without sacrificing a precious slot. As long as Football Manager doesn't turn in to a version of 'Sims', with families and mortgages to take care of, I'm happy. Keep any sort of new feature relevant to the actual job at hand and I'll be a happy consumer. On the one hand, I believe that the game will be more realistic if a Family is added to the manager, being able to have your wife, buy a new house, have babies and maybe become their coach in the future. Manager's personal life. Have a wife, kids who might actually become a football player, or staff. Buy an island, a country, etc etc. 3. Country Map / World Map with the distance between the cities of the teams. It would be real nice to see country map with the distance between the cities of two teams who will play between each other. (or simply show the distance between the cities). it will give some understanding how far are we going... It will make affect on the transport cost and players conditions. 2. Discussion about the transfer responsibility during the interview. Not every head coach is responsible for spending transfer funds. We have a Sports Director position who should do this part of business. But sometimes the Board can give the Head coach more trust. In the real life this is a important point which affects on the work of the manager. Question should be anounced during interview and this option must be sealed before the manager's appointment. (Not to turn on/off manually in the game settings). This will make the game more difficult, realistic and interesting! 1. The Impact (importance) of coaching license. Coaching license affects on the ability to work in a particular club. It depends on the country. For exaple, the holder of the "C" license category has permission to work as a coach/assistant coach in the second division or the head coach in Amateur or Semi-professional football or the head coach of the youth team. The "B" license category allows to work as coach/assistant coach in first division teams and head coach of the second division teams. Coach with the "A" license permitted to hold the post of the head coach of the first division, and also to work as an assistant coach in the Premier Division. The holder of PRO license has the right to work as a head coach of the highest qualification level in the Premier Division teams and national teams without restrictions. I think managers and players should be able to spend the money they earn. Not anyhow though as I feel they should be able to use it to drop transfer hints. For example,I, as a manager wanted by psg should be able to buy a house in France to drop the major hint. I think it would be interesting if mind games can be introduced. I know most of you are already wondering the need for this. Mind games can be useful in distracting , manager of an opposing team when a match against his team is drawing closer as his attention will be to reply you in the media and ultimately lose focus for the match. I think the Balon d'or and other major awards should be restructured. What I mean is that a nominees list should be released maybe in August or September and a date should be fixed for the awards. I as a manager should be able to vote for a particular nominee and influence the decision of my club captain. 1. 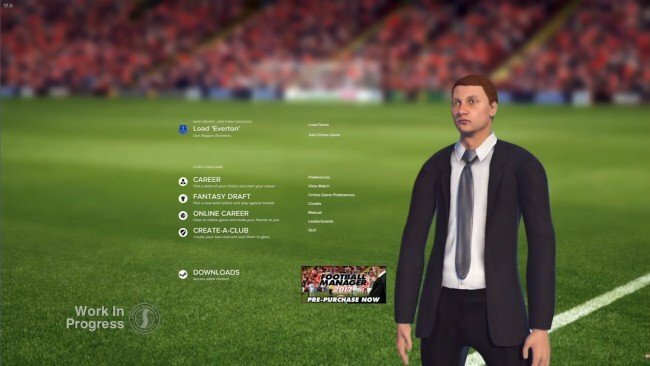 When setting up a new manager, it would be good to have the option to have your manager attributes match any of the real life managers in the game. 2. Would be great to have press conferences where you actually get toi speak, using your webcam. International management improvements really is something the game needs. There should be an opportunity for the team to become fluid to a tactic. Managers should be offered contracts instead of just taking over the job with an unlimited in time contract. Match training before the games was something in the game before, really don't know why they removed it. It helped a lot. Also more realism is needed for sacking a manager for poor results (or even a single result, let's say England - San Marino 0:0 - you'll never get sacked in the game for that result right now). National pool needs to be fixed - all players eligible for a nation should go there, not just manually added ones. I'm sure I can come up with more. Over time an organic change of league structure. Add more temas in league or lower the number. Maybe a play-off. If the country is not performing in CL or Euro League then the FA for the countries should consider a new structure. Maybe ask the clubs, so you might get a little saying. Also small rule changes like subs or foreign players could be changed. When interacting with opposition managers make them more visual, so it's not just their name that pops up. If a big picture compliments the name and his comments, it would feel more personal. 1. Putting pressure on the Refs. Sometimes during a match you might see a foul, and the opposition scores afterwards. In real real life Mourinho or Klopp would yell at the 4th Ref and put pressure on the officials. It might work or backfire. Maybe you get the ref on your side next time or he will warn you or send you to the stands. Or a maybe a ban for two matches. This will give managers more personality. Also be able to interact with the crowd like Simeone. 2. When getting scout reports of next opponant, maybe a more detailed overview of the opponants style of play. Short/direct, high or low defence, specific strengths for the team. This helping you setting up the details for your own tactic. 3. Mention the number of shirts sold per player, and also the revenue it generates. Maybe this could make signing new star players a little more fun. It's easier to see the value of the player with these numbers included. 4. If possible playing the Champions League hymn when playing CL matches. Probably there are restriction of royalties. But it would make the atmosphere much better. 5. If you wanna get rid of a player, plant a story in the press. 1. Support for Multiple CPU Cores. If I have an 8-core processor or 16 etc, I want to use all cores. This would help make the game quicker and enable me to include more leagues into the game. Even a GPU can provide some processing power. 2. I want to spend my salary. Maybe use them to start my own club within an existing game and be the owner and manager who can make (all desitions), a nice treat after a long career..
3. Different types of manager roles. Some are just coaches, some are managers who can spend money freely on the transfer market. Club owners, who can choose the be the manager but also make all the decisions for the clubs future, economy building stadiums etc, full package. 4. When Assistent manager is given different responsibilities, I would like to change how he does things. A deeper cooperation with the assistent manager. 5. Some players just doesn't want to negotiate a contract. Everything has a price, if I could just tell him he might get an offer he can't refuse. 6. Talking to players agents before a transfer fee have been accepted, maybe the agent could make the player apply for a transfer, this might lower the price a bit. 7. Improve the editor. I would like to create continents, countries, planets, anything without hassle. And being able to autogenerate clubs, players etc. This would save time when making large projects. 8. Improving the editor by allowing randomized stats on people, similar to the potential ability. I am an old fan of FM who lives in Korea. I do not know English well, I used translator. I hope you understand even if there is an awkward expression. 1. First of all, I would like to have a system that can use earning profits because there is no profit for salary negotiation at present. For example, it is the ability to acquire a club directly or to increase the quality of goods, charisma, etc. by purchasing clothing, accessories, and vehicles. 2. Improve the social media segment. There are many unnecessary or unfamiliar feedbacks. 3. More extensive historical records. I think it would be nice if we could check out a lot of records in the game, such as past Derby or record of scoring against that team. 4. Situation in the stadium. It is likely that you will feel more real football if you can express an immediate protest of the video reading and referee judgment, and situations that may lead to a dismissal. I would personally like to visit the player (or acquaintance of the athlete) to invite the transfer, or to build up friendships. I am trying to write it in my own way. I would like to thank all of the FM development team members, and I hope that the FM fans around the world will always be lucky. Have coaches and/or players want to work with you, being able to speak to the fa regarding national football structure i.e. Adding leagues or more teams to a league, imposing rules for clubs i.e. Maximum number of foreign player. when creating a club, you should be able to choose transfer policy i.e. Athletic Bilbao can only sign basque players. choosing kits after each season, get loan recommendations for under 21 players i.e. A club that specialise in a similar philosophy or play with that players role. stand alone kit creator to design your own club kits linked with a saved editor file or standard database file. have trial sessions in other countries, i.e. LA galaxy having tryouts in London and Manchester, have schools for prospective youth players. distinctive net types i.e. Deep, slim, triangular, rectangular, arched. be in control of all new stadium aspects and propose changes or ideas for stadium development with more detail i.e. Type of seats to expand or what tier to expand, if you want the stands close to the pitch. fan polls for potential signings or areas they'd like to see improved. fans should have questions asked via a fans representative during press conferences. have the option to retire numbers in game and in pregame editors. choosing tactical attributes when adding a manager i.e. Defensive type, attacking type, coaching type. maybe starting as a youth team manager or selecting the difficulty of manager mode i.e. Start as a no one so you can join a low league team or youth team. choose favourite other managers i.e. Klopp or mourinho. choose stand names when choosing a stadium name or a former player or staff member retires. Other staff can approach you to become a member of your staff. Handcrafted in Symi, Hellas. Page created in 0.951 seconds.